From Socrates and Plato to Steve Jobs and Mark Zuckerberg, mentorships have existed throughout history. If finding a mentor interests you, keep reading to learn what to look for in a mentor, how the relationship works, and how to find one. From Socrates and Plato to Steve Jobs and Mark Zuckerberg, mentorships have existed throughout history. While we often associate mentor relationships with young entrepreneurs seeking advice from veteran business leaders, the truth is many of us can benefit from a mentor, particularly when we first enter our careers. A mentor can help you with everything from developing a new skillset to finding investors for your startup, and is ultimately someone you can trust and turn to for guidance as you navigate the business world. If finding a mentor interests you, keep reading to learn what to look for in a mentor, how the relationship works, and how to find one. Having a mentor offers a range of benefits. Employees with a mentor are more likely to be retained, get a raise, and get promoted. In general, a mentor serves as both champion and critic, meaning they will be brutally honest when you are making a mistake but will always be there to celebrate your milestones and successes. How Does a Mentorship Work? It’s becoming increasingly common for workplaces to set up entry-level employees with a mentor (or peer mentor). Peer mentors will help ease you into the workplace culture, and even train you if they work in the same department. Additional relationships may develop over time with more senior members of the organization, whether they are formally assigned as your mentor, or you take the initiative and seek guidance from a colleague you admire. Whether you are appointed a mentor or find one yourself, every mentoring relationship is a little different, so it’s wise to establish the boundaries of your relationship early on. Some mentorships, particularly those within an organization, are more formal, consisting of weekly meetings and status reports. More informal relationships may consist of occasional check-ins or an invitation to contact the mentor as needed. Mentors typically have a lot on the go (that’s why they are successful! ), so be sure to ask them how much time they can invest in you and be respectful of their schedule. Knowledge and experience in your field: A mentor should have the skills and resources to help you develop your career, build your skillset, or achieve your goals. Look for someone who is committed to ongoing learning and growth, as you don’t want a mentor who is stagnant in their career. Generosity: Just because someone is successful in their field or industry does not mean that they have the time or inclination to be a mentor. Find a mentor who accepts where you are and knows where you want to go. They must be both willing and able to provide ongoing support. Discretion: You should be able to open up about your struggles without fearing that your concerns will be disclosed to This is particularly true if you have a workplace mentorship program and your peer mentor knows and works alongside your boss. Honesty: A good mentor is aware of your strengths, and isn’t afraid to draw attention to your weaknesses in order to develop them. They might challenge your decisions, but will help to guide you in the right direction. Enthusiasm: A mentor who is passionate about their career is better equipped to help develop yours. They should demonstrate interest in both your work and your personal development, and always dare you to think bigger. Think about your goals and needs. Do you need help with strategic planning for your business? Do you want to specialize in a certain academic field? Do you want to develop your leadership skills? Asking yourself what you need from a mentor will help you to narrow down your choices. Next, consider people who you admire professionally, whether you want to follow directly in their footsteps or they simply embody traits or have skills that you would like to have. When looking for a mentor, we tend to look at people in our immediate circle, such as family, friends, or colleagues. It’s natural to want a mentor with whom you have already established a relationship, but don’t be afraid to seek a mentor from outside your existing network. To that end, take the time to acquaint yourself with a handful of prospective mentors. From there, you can choose the individual who is best suited to guide your career. If you’re reaching out to someone you don’t know, do some research on them first. Take a look at their blog, visit their social media pages, or read any articles written about them. Then write a personalized email explaining what your business is doing or how you are trying to develop your career. Rather than asking them right away to be your mentor, establish a relationship over time. For instance, ask questions or request feedback on a business idea, and then demonstrate that you have used their suggestions. After a period of time, and once you’ve met in person (or via video chat), you can request to formalize the relationship. There is no shortage of resources out there for young professionals who are starting a new job or looking to build their careers. But while books and blogs are great, the active guidance of a mentor can be your most valuable asset. Whether you are at the beginning of your career or have just become the leader of your own business, you will reap many benefits from having a mentor in your life. 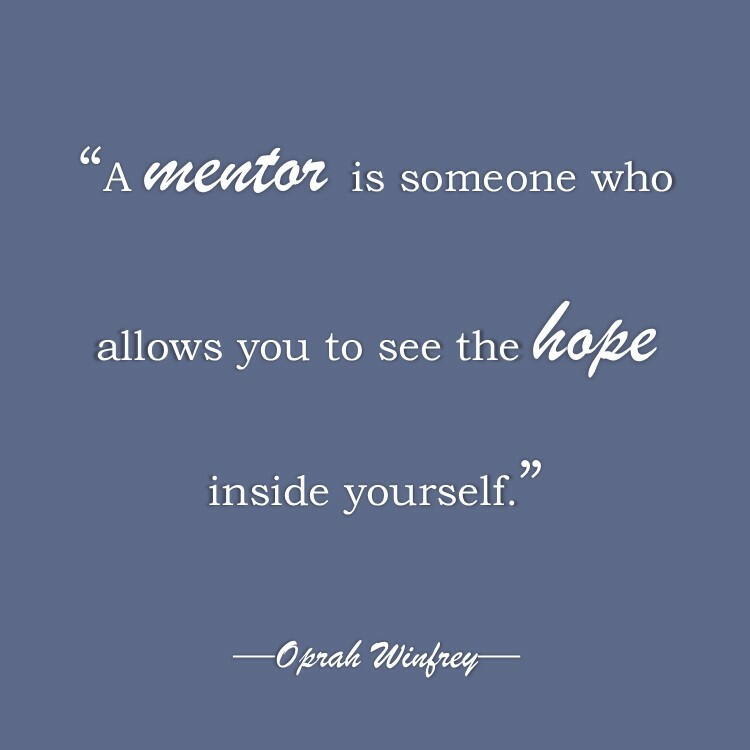 Have you had a mentor? Have you been a mentor? Tell us about it.